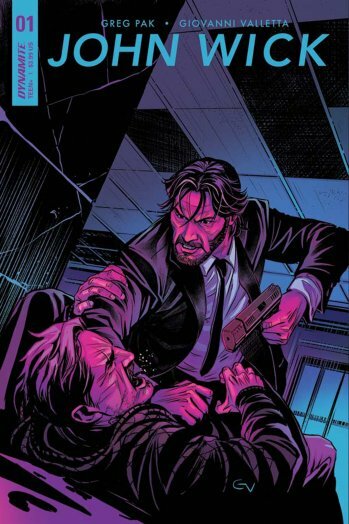 After an announcement at the end of last year, fans of John Wick have been eagerly awaiting the Dynamite Entertainment comic book series based on the Keanu Reeves movie series. This September, the wait is over. 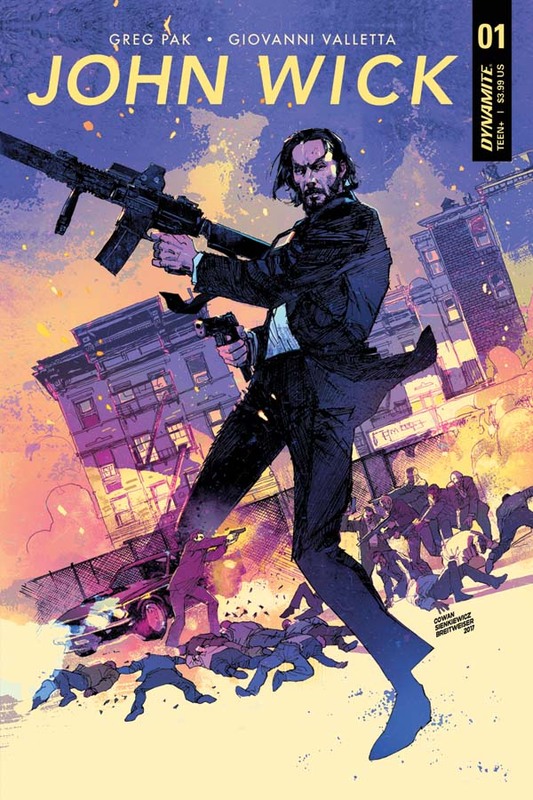 Written by Greg Pak (Marvel's The Totally Awesome Hulk, DC's Action Comics) with art by Giovanni Valletta, the John Wick series doesn't continue the storyline seen in the two movies released to date; instead, the story — which takes place as part of official movie canon — flashes all the way back to the start of Wick's career. "I was on board pretty much as soon as I got the call and heard ‘John Wick,'" Pak said in a statement from Dynamite. "I'm a huge Keanu Reeves fan and loved the John Wick movies, which had the kind of kinetic action and intriguing mythology that seemed like a perfect fit for comics. I'm also always happy to work with my friends at Dynamite, who are always a pleasure to make comics with. And the art I saw from Giovanni Valletta blew my mind — he's totally nailing Keanu Reeves' likeness while creating emotional, dynamic, exciting action. This book is going be beautiful. But what really sealed the deal was when Dynamite Editor Anthony Marques said we had the greenlight to tell a John Wick origin story. That was astounding to me — we're not just telling another fun adventure with the character; we're actually going to be able to add to this character's and world's tremendous mythology by telling an origin story! What could be cooler than that?" According to editor Marques, "We've received the blessings from all of the creators involved with the films, every step of the way. That includes the writer/creator of John Wick Derek Kolstad, as well as Thunder Road, Lionsgate, and even Keanu Reeves. This book is the real deal and people are not going to be disappointed." The series will launch digitally and in comic book stores this September. Valletta's cover for the first issue is above; below is a variant cover for that issue by Denys Cowan and Bill Sienkiewicz.